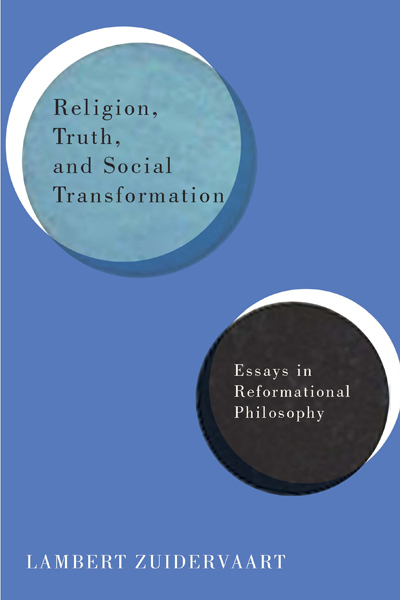 I am very excited about the forthcoming publication of Lambert’s book Religion, Truth and Social Transformation. For one thing, Lambert’s philosophical abilities are world-class—his ability to be clear and maintain consistency, even when using the most technical of vocabularies, is a wonderful blessing to those of us trying to make sense of the world in a systematic, philosophical way. His work isn’t easy to read, but it’s always helpful. Very helpful. And therefore the chance to read it is always welcome. An occasion to read a more sustained account of Lambert’s interactions with reformational philosophy—something that is not only dear to my heart, but also near to my current research interests—is doubly promising and exciting for me. Clear, concise elucidation of the problems and promises inherent in the work of Dooyeweerd, Vollenhoven, and their followers is extraordinarily valuable, not least because neither of those men would be considered an excellent writer by anyone familiar with their work (and with good writing). Excellent thinkers and philosophers, perhaps; but no one has called their work easy to follow or simple to comprehend. It was with excitement, then, that I received the invitation to join this on-going engagement with Religion, Truth and Social Transformation. I think that reformational philosophy has much to offer the philosophical world, and the world more broadly. Lambert articulates the promise of reformational philosophy very well, in a way that mirrors many of my own interests in it. I echo his desire for “an interdisciplinary, spiritually open, and socially engaged philosophy that seeks sociocultural renewal and the transformation of society” (20), “a philosophy that does not ignore the suffering of God’s creatures, a philosophy that seeks comprehensive wisdom in order to critique social evil” (22). I think that reformational philosophy has much to offer the philosophical world, and the world more broadly. Given my own previous work, my interest in reformational philosophy is piqued more than most by Dooyeweerd’s references to temporality. In what follows, I want to offer some questions that arise out of that interest as an invitation for Lambert (and those reading the Ground Motive blog) to consider something that I think will ultimately aid in his attempt to “reformulate reformational ontology after the linguistic and interpretive turns” (15) and to “develop the holism and pluralism of reformational epistemology in a contemporary setting” (19). Let me state my overall concern boldly, and then try to back it up with a bit more detail. My concern is that paying insufficient attention to Dooyeweerd’s unique account of the inherent temporality of the created order leads us to ignore the spiritual (and not merely theoretical) critique that forms the ultimate basis of Dooyeweerd’s work, especially after World War II. What results is an account of Dooyeweerd that skews in a deistic direction, potentially leading us to think that it is up to us, rather than to the work of Christ, to redeem or transform creation (a line of thinking that Al Wolters, among others, has already bemoaned in reformational thought). To begin to unpack this, then, let’s take a look at Dooyeweerd’s unique (one could also say opaque and under-developed) account of temporality. I think doing so well requires one to engage Dooyeweerd through a phenomenological lens. In phenomenology, temporality is a key and essential component of the very act of be-ing itself; indeed the key to phenomenology may be to recognize that being is a verb, not a noun—it is something done, not merely something we find or discover. This insight helps us recognize the inherently dynamic nature of Dooyeweerd’s account of creation. Temporal reality is not merely ‘there,’ but is going somewhere: it was set in motion at creation and will reach ultimate fulfillment in the eschaton. Andree Troost, in his excellent introduction to Dooyeweerd’s thought, makes the connection this way: “God created all things, including people, ‘unto’ Him, launching them in a direction towards Him,” and therefore, “by virtue of being created ‘unto God’ a dynamics has been put into creation” (Troost, 29 and 37). Creation is described as ‘temporal’ then, not merely to set it apart from the eternal, but because creation is always ‘on the go,’ so to speak—it is directed toward God not merely metaphorically, but actually. In Dooyeweerd, this is most clearly captured in the connections he posits between the ‘root unity’ of creation and the ‘fullness of time’ or the ‘fullness’ of (meaning in) the temporal order. Ultimately, both of these are found in Christ. Christ, then, is the point from which creation springs and the ultimate fullness or end toward which all creation is directed. We can discern here two distinct directions in Dooyeweerdian temporality: the expressive direction, in which creation moves ‘out’ from its Origin; and the concentric direction, in which creation is drawn back toward its Origin. The latter direction is heavily influenced by human experience, given that the concentric direction is the direction of human theoretical thought, directed, through the self, toward the Origin. This “totality of meaning” is tied directly to the radical unity found in the religious centre of human existence. (NC I, 31) The prism cannot, therefore, be entirely separated from the issue of the supra-temporal heart (NC I, 106), which Dooyeweerd then goes on to defend against other Reformational philosophers who would critique it (a group that includes Vollenhoven, as Lambert points out). In this discussion, Dooyeweerd explicitly connects cosmic time (through the modality of faith) to eschatology (think of our earlier invocation of Christ as both the Root and the end/fullness of time), and does so precisely and only insofar as we understand eschatology as showing the indissoluble connection between the cosmic temporal order and the supra-temporal. (NC I, 33) He explicitly rejects conflating these two (as if eschatology were just the same as history), but also implicitly rejects separating them entirely (as if eschatology had nothing to do with history). Instead, history finds its ultimate fulfillment—finds its ultimate meaning, or finds its place in the ultimate meaning of creation as an expression of God—only in the supra-temporal. So what, precisely, is at stake in this question of supra-temporality? For Dooyeweerd, nothing other than the very religious nature of creation itself, and therefore the ‘root’ of social problems. The connection between the fullness of meaning being refracted into time and the human heart is instructive here: anthropologically, it is through the heart that the eternal (especially the Spirit of God) is refracted into human experience. Hence, the heart is the root of the subjective faith function, which itself is the boundary aspect, “lying at the boundary of time and eternity” (cited by Lambert on p. 13). Just as the ‘fullness of meaning’ is ‘refracted’ into and as the temporal order, so too does a religious spirit operate, in and through the human heart, to be ‘refracted’ or ‘expressed’ in the world. This is precisely the point of Dooyeweerd’s notion of ground motives, which are not mere intellectual constructs or conceptual Ideas, but are spirits or “central motive-powers” that are active in the heart (NC I, 61). The human heart, then, is the site where religious spirits—be they the spirit of God or the spirit(s) of apostasy—drive human living, and through that, re-shape and influence creation. As such, the heart is not merely temporal (since the eternal is at work directly in and through it), but it is not strictly non-temporal either (since it remains essentially connected to the temporal, created order). The supra-temporal is the very boundary between the eternal and the temporal (to use Vollenhoven’s language about the law). A good analogy for understanding the supra-temporal can be found in Dooyeweerd’s invocation of the supra- in other areas, most notably the supra-theoretical. The supra-theoretical prejudices are precisely those things which, coming from the realm of the religious, give the impetus and drive to all theoretical thought. Such supra-theoretical prejudices are nothing else than the Law-Idea itself. Similarly, the supra-temporal would be those things which, coming from the realm of the religious/eternal, give the impetus and drive to all temporality. This would be nothing else than the “communal spirits” that are embodied in the ground-motives, which themselves shape human communities, and through them, human experience, and ultimately the whole of creation (since creation as a whole requires human experience to ‘actualize’ the subjective element of the higher-order aspects). We can say, then, in keeping with Dooyeweerd’s theory of temporality (however quickly sketched it has been here), that every human action is expressive of the spirit that is at work in and through the heart. For Dooyeweerd, then, at its root, every problem has a spiritual or religious cause—everything else is just a symptom. For Dooyeweerd, then, at its root, every problem has a spiritual or religious cause—everything else is just a symptom. This finally gets us to the significance of Dooyeweerd’s theory of supra-temporality for reformational philosophy at large. It is because of supra-temporality that Dooyeweerd is able to maintain a constant, direct engagement between the eternal and the temporal (and so avoid deism). The spirit of God is not just an Idea or a transcendent entity for us to talk to—it is a dynamic, motivating force working to order and re-order creation constantly, every day, as creation moves from God to God. Structural problems in society are first and foremost problems of spiritual expression, not of “differentiation and integration” (14), and fixing said problems requires, at its ultimate root, a spiritual, and not merely a social, transformation. Of course, this does not mean there is no room for social transformation. Nor does it mean that, instead of practicing careful, theoretical reflection to enact change, we should instead merely sit back, pray, and hope for God to fix it. As I said earlier, I am greatly drawn to Lambert’s call for “an interdisciplinary, spiritually open, and socially engaged philosophy that seeks sociocultural renewal and the transformation of society” (20). What I am trying to emphasize is that the “spiritually open” part of that description is not merely about describing people’s intellectual starting points, and then suggesting that certain starting points are more likely than others to lead to particular outcomes. Rather, properly diagnosing social problems requires discerning, articulating, and clarifying the spiritual forces that are being expressed by particular communities. Truth is determined, ultimately, by the attunement between a particular community and the spirit of God as that which is (to be) expressed in that community. In my opinion, this issue of spiritual expression—of the expressive direction of time in relation to the concentric direction; of supra-temporality in relation to both the eternal and the temporal; of the relation between order and duration in cosmic time—is the central insight of reformational philosophy that must be expanded and clarified if we are going to adequately “reformulate reformational ontology after the linguistic and interpretive turns” (15), and so help “address contemporary contextualism” (17). My hope, then, is that the above sketches out an avenue for further inquiry that will help Lambert’s goal of “meeting the challenge” of “develop[ing] the holism and pluralism of reformational epistemology” [and, I might add, ontology as well] “in a contemporary setting” (19). Perhaps this, in part, lays out the agenda for the fourth generation of reformational philosophers. All references to Religion, Truth, and Social Transformation are cited parenthetically. E.g. Herman Dooyeweerd, A New Critique of Theoretical Thought. Three Volumes. Translated by David H. Freeman, William S. Young and Henry de Jongste. (Philadelphia: The Reformed and Presbyterian Publishing Company, 1953-1957). I, 101; II, 25; 29; 32; 307. Hereafter cited parenthetically in the text as NC. A New Critique is available online in Dutch and in English. This continues a theme of Dooyeweerd maintaining that supra-temporality is essential to his entire philosophic conception (see, e.g., NC I, 31n.1, and his 1940 article “The Problem of Time in the Philosophy of the Law-Idea”). This is the basis for why I would argue that Dooyeweerd’s understanding of creation order does not (at least in principle) make a “temporary social form of organization” “abidingly normative” (12). Rather, creation order, as a dynamis, is normative insofar as it expresses the spirit of God (as best as possible) within a specific community at a specific time, and is anti-normative insofar as it expresses some other spirit within that community. Dooyeweerd’s diagnoses will have repercussions for our own communities (since we are connected to his community throughout all the modal aspects, including the historical), but the normative in his day and age cannot simply be equated, one for one, with the normative in our own. What is significant is how the constancy of God’s spirit can be maintained, amidst the changing temporal situation of our communities and, ultimately, of the dynamics of creation from Root to fulfillment, from the Garden to the New Jerusalem. The question is affected by questions of both sin and eschatology. Neal DeRoo is the editor-in-chief of in All things, and an alumnus of the Institute for Christian Studies (MA, 2005). He also serves as Associate Professor of Philosophy at Dordt College and Director of the Andreas Center for Reformed Scholarship and Service. Image used under Creative Commons, from Wikipedia. If time is the medium through which the central unity of the heart is refracted into a variety of modes, then I certainly see why it is necessary for Dooyeweerd to maintain that the heart must be supra-temporal (i.e, in order to avoid dissolving unity into the mere systatic coherence between the modal aspects). But does that not imply that the unity of any and every "thing" (insofar as things are irreducible to their modal functions and the coherence between them) is likewise supra-temporal. What sets out the human heart as any different here? Does everything have a "supratemporal heart"? If it is not different, then does the religious dynamic rooted in the "heart" not also play in the functioning of every creature? If that's right, is that a good thing or a reductio of Dooyeweerd's conception of time? Yes a million questions is probably the proper response to the supra-temporal heart. The whole theory is so under-developed that it's difficult to say too much--you quickly get beyond the letter of the text to trying to discern what would be consistent implications, etc. I'll do my best to do that here. I have one caveat, and then I'll try to answer. Caveat: It isn't entirely clear to me that the heart is the only point of refraction, and hence the only supra-temporal element. 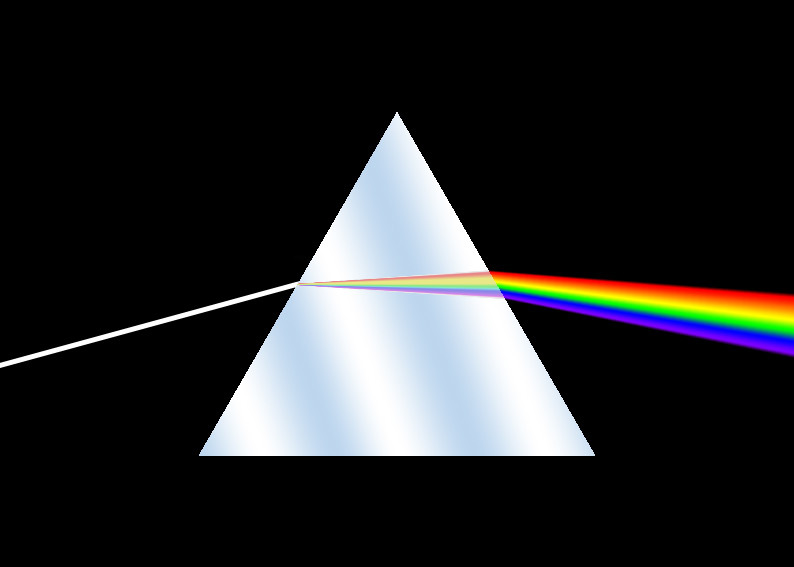 It is certainly a privileged one (for Dooyeweerd), and I can't offhand think of others, but the letter of the text seems to only connect the heart to the refraction that happens through the prism of cosmic time, not equate them wholesale. That said, Dooyeweerd certainly privileges the human heart, and does so (I think) because of the anthropocentric view he holds: humanity is central to the creation order in a significant way, in large part because of its connection to Christ as the ultimate Root Unity. So, I'd say that only the human is heart-ed (I don't like the implications of the phrase 'has' a supra-temporal heart, as if it were part of us--it is rather the very condition of being an Image-bearer, that is, of being human)--but because of the interconnection of creation through the modal aspects and their expression from (and convergence to) the Root, the religious dynamic that works through the heart is expressed in a way that affects all of creation. This is easier to grasp in relation to the higher-order aspects(since they require the 'human touch' to be subjectively actualized), and I'm not entirely sure what it means for the lower aspects, but that seems, to me, to be consistent with the view. Does that make sense? And did I even answer your question adequately? Thanks for your response Neal. Naturally these are things best discussed at places like 229 College, either in a seminar room or (perhaps better) in the basement with appropriate libations. good times. Anyway, I'll put my "concern" about the STH one more way and then maybe leave it at that and hope for a time when we can thrash this stuff out properly. I see two motivations for Dooyeweerd to call the heart "supra-temporal:" (1) Anthropological -- i.e., to account for the uniqueness and radically religious nature of human beings; (2) his concept of time requires it in order to account for the concentric unity of the heart in such a way as to avoid reducing its unity to the inter-modal coherence of its functions. For D these pushed in the same direction so re-enforce each other. My hunch is that they actually conflict; that (2) actually vitiates (1) because it applies equally to all things -- their unity is also irreducible to the inter-modal coherence of their functions and so must be supra-temporal (because time is the medium for the refraction of unity into the various aspects). I also think that what Dooyeweerd wants to achieve anthropologically can be accounted for in terms of other parts of his ontology, but all that needs a great deal of elaboration and careful work that I can't do now. Thanks again for a thought-provoking article. Thanks Michael. Agreed that the details of this conversation are best left for an in-person (and over-beverages) conversation. I'll just say this: I tend to think of 'unity' for Dooyeweerd primarily in the sense of the fullness of time/meaning, which is concentrated in the heart. But each individual thing's 'unity' is ultimately found only in the unity of creation as a whole. Not sure this will solve the problem you mention, though. I'll have to give it some more thought.